Although holding their smiles for the cameras may have provided perhaps a little too much evidence to support their winning idea that Smiles aren’t meant to Last, rest assured Zach Hall and Clementina de Ruiter’s delight in winning the Google Student Axis last Thursday was very real. 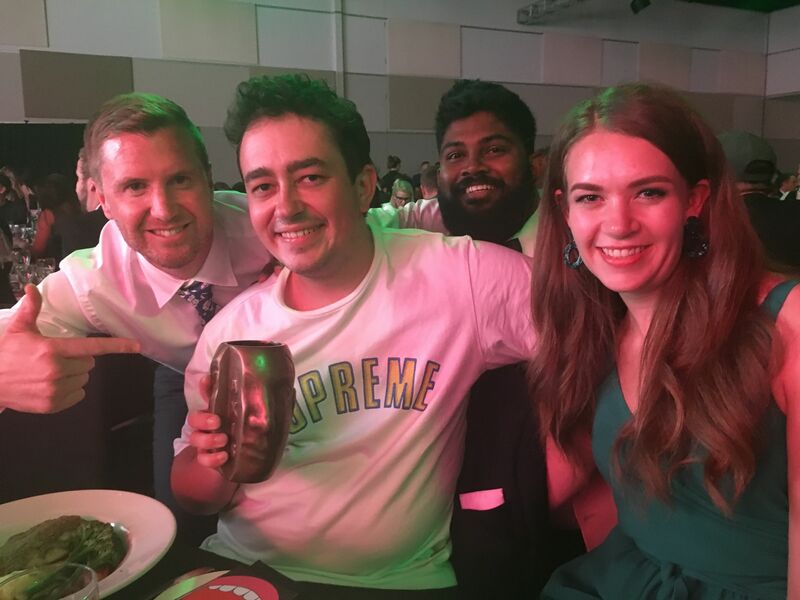 Says Kate Humphries, programme director, AdSchool: “Pictured here with Nathan Laing and Frances Xavier from Google, Clem and Zach’s win made it the third year in a row that Media Design School students had taken out the Google Axis Challenge. “We owe a big thank you to: Rueben Halper from Google and Natasha Galloway from the Communication Council for organizing and supporting the Goggle challenge; James Hurman from Previously Unavailable for providing the briefs; Haydn Kerr from DDB, Shaun O’Conner from Saatchi’s, Rupert Hancock from Ogilvy and Rueben Halper from Google for talking the students through two rounds of judging and feedback, before passing their final three over to the international and national judges for the final round.